My name is Marissabel Mayol and I am honored to be chosen as April's ZUMBA Instructor of the month! I am happily married and a mother of a beautiful baby boy. I have the most amazing and wonderful family, friends and support system that anyone could ever ask for. I was born and raised in Union City, New Jersey and am proud of my Cuban heritage. I have been dancing since the age of 5 and found a way of incorporating my passion for dance and fitness through the ZUMBA Fitness program. ZUMBA has been a way of burning calories, expressing my native roots and my passion for dance as well as uniting people of all ages, genders, and ethnicities. I became a licensed ZUMBA Instructor in June of 2010 and have been teaching ZUMBA classes ever since. 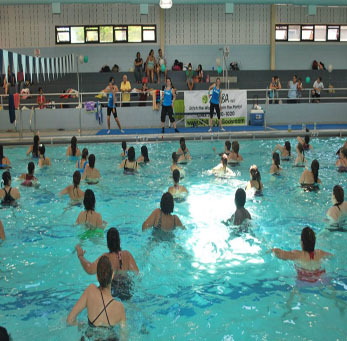 I am licensed in Basic ZUMBA 1 & 2, Zumbatomic, ZUMBA Gold, ZUMBA Toning, ZUMBA Gold Toning, Aqua ZUMBA and ZUMBA Sentao and am the owner of www.myzumbabody.com. Coordinating and participating in ZUMBATHON Charity Events and Fundraisers for amazing causes such as Breast Cancer Awareness, Muscular Dystrophy Association, Partners in Caring for the hungry, and families that have lost their homes and personal belongings as a result of a fire, was my way of uniting our community and helping those in need. While attending Law School, ZUMBA Fitness was my stress reliever and my way to get by the rigors of law school while being so far away from family and friends. Battling with depression and being overweight, I was searching for some type of activity that would get me by and help me shed those unwanted pounds. All it took was one (1) ZUMBA Fitness class with my amazing Instructors, Lina Hernandez and Raelys Arroyo, and I was addicted! Having lost over seventy (70) pounds and counting, I have never felt so great in my life! 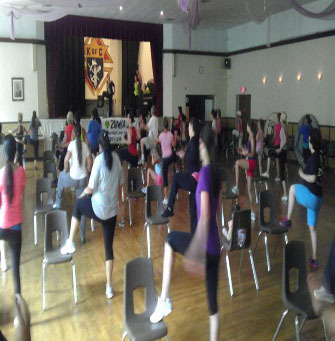 Not only have I had amazing health benefits from the ZUMBA Fitness program, but as an Instructor, I get to share that passion for ZUMBA Fitness with all those who attend my classes. My biggest accomplishment by far is helping and inspiring others to reach their fitness goals, to be happy, relieve stress and overcome life's daily setbacks. Having the ability to touch someone's life and have a positive impact is by far the best feeling in this world. Seeing everyone give 125% of themselves in each ZUMBA class while making friends, sweating, SMILING, singing and dancing their hearts out is what ZUMBA FITNESS is all about. I will forever be thankful to my ZUMBA family for allowing me to be a part of their lives and for being my Inspiration! Thank you for choosing me as your ZUMBA Instructor of the Month! 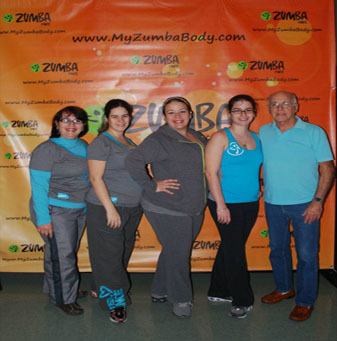 I am privileged and honored to have met you all and look forward to every ZUMBA Fitness class we share together!